I love a truly clever marketing strategy. This week I learned of Muskoka Brewery‘s Instagram contest promoting their Summer Weiss – a wheat beer – made specifically for the summer season. The contest – What’s Your Summer Vice? Share a photo of your Summer Weiss (“vice”) on Instagram or Twitter with the hash tag #SummerWeiss for a chance to win $1000. Here’s my entry. My garden is going to be my summer vice. Also, I’m calling myself a micro-farmer [with apologies to the people who work way harder than me as real farmers – kudos to you]. How deep do you plant these things? The Summer Weiss won the Gold Award for Best German Style Wheat Beer at the 2013 Ontario Brewing Awards. More recently it won the Most Delicious Beer Consumed While Micro-Farming award in my back yard. The weiss is crisp for a wheat beer, light enough for a brunch beer, and I found that the bottle keeps the dirt out while you garden / micro-farm. Available in six packs for $13.50 /6 x 355ml. 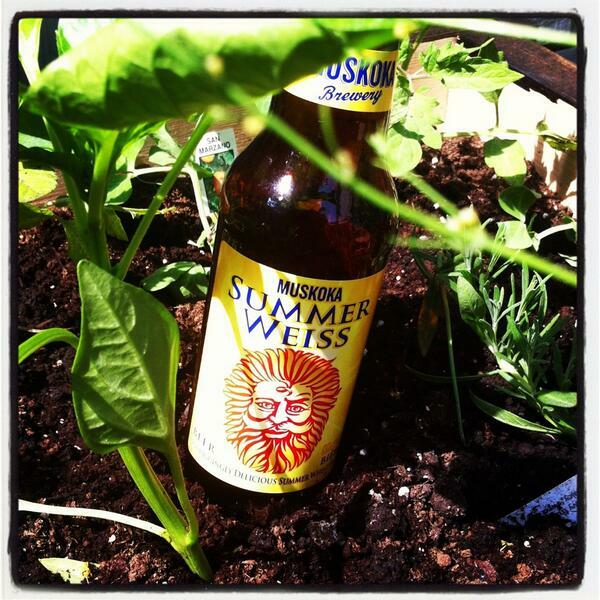 Plant some every couple of weeks to ensure a summer-long supply of weiss. Want a chance to drink Riesling and support a charitable organization? That’s like a gift with purchase at the cosmetic counter – except that you get a couple of samples of Riesling instead of an obscure lipstick colour. My man Orest [Vintages Specialist at the Scottsdale LCBO] throws a great party. Riesling is Ontario’s finest white wine varietal [in my opinion – an opinion shared by people more knowledgable than me]. 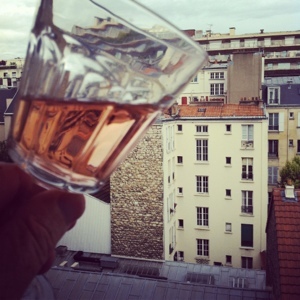 Noon is the perfect time to start drinking white wine. Unless the doors open at 11 am. 14 participants are bring their best Riesling for you to try. $10 gets you 4 samples [and maybe more if I know my wine makers and sales reps]. The collected admission goes directly to Bracelet of Hope. 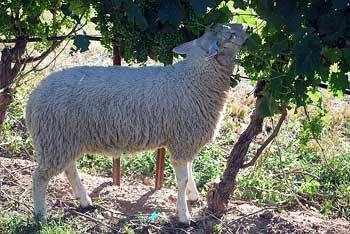 The Featherstone winery uses roaming sheep to prune their vines [the call it “Sheep Labour“] and will be there with their Black Sheep Riesling. Fact #7 is darn cute! On my most recent visit to the wine store I was approached by another customer. I took this as a sign that I appeared to be a confident shopper and therefore likely to have answers for a lady who frankly, looked lost. “Excuse me”, she started, “do you put rum in your piña coladas?” she asked. I was completely taken back. I looked down at my shirt thinking maybe I had the same one on as the employees. I didn’t. I realized I wasn’t really sure what she had just asked me. “Do I put rum in MY piña coladas?”, I replied, “Or do you mean is rum the alcohol that is used to make piña coladas?”. By this time I had said the words “piña colada” more than any other time in my life combined. I’ve also never had a piña colada so I wasn’t sure of the answer. Then I became alarmed. Not because I started singing that horrible “If You Like Piña Coladas” song [which I haven’t gotten out of my head yet], and not because I didn’t know the answer, but because apparently I looked like a guy who drinks piña coladas. That’s not the look I’m going for. I may not get over this for a while. For the record the last rum I purchased was a sipping rum and it was delicious.